A Rainy Day Couldn't Keep the Happiness of this Proposal at Bay. See How Drew Proposed to Bianca! One of our couples, Bianca and Drew, had their proposal photographed and they were featured in “How He Asked” by the Knot. Learn about how they met, how Drew asked, and the obstacles Drew overcame to finally ask Bianca to be his wife. See the full article here. 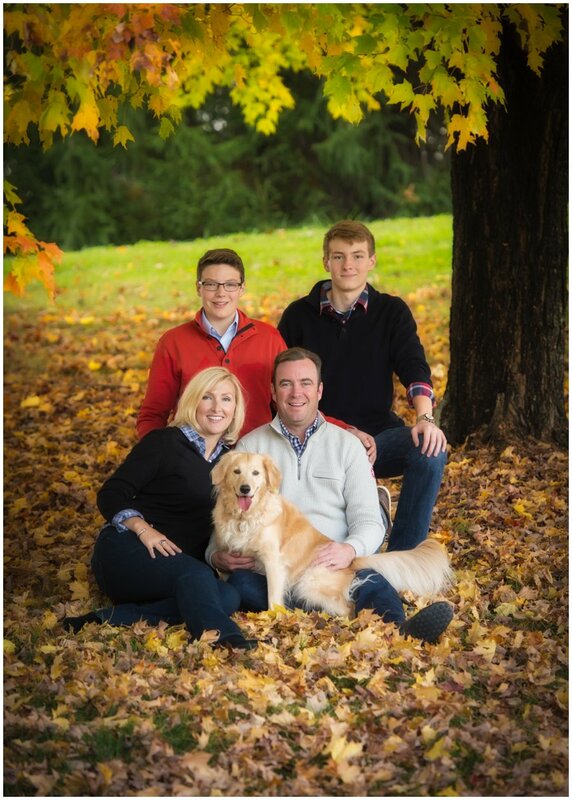 A family portrait session is something that many of us regularly consider; and yet, that critical moment –– picking up the phone or sitting down the send the email –– never happens. Our lives in today’s world seem to fly by at an ever increasing rate, and before we have time to reflect, our children are grown, our hair has betrayed us (either making a full and silent departure or turning a shade we never thought we would ever rock), and the moments we reflect on with nostalgia –– Eddie’s awkward phase; Susan’s blonde stage; Dad’s dad-jean nightmare –– are gone forever. Think for a moment about these transitions; think of them like the subtle growth of hair: the change is unrecognizable day-day, and yet profoundly different when compared over time. We may have albums of iPhone photos buried deep in the depths of our Photos app (or, even worse, gone forever after that “accident” at the beach), but how often do we really seek out these buried moments? How often do we have friends over for dinner and dig out our phones, search for a random photo taken on vacation five years ago by that elderly couple who cropped off little Eddie’s feet, positioned the sun in such a way that Mom has a halo around her head, and Dad is in what appears to be the throws of a sneeze? Never. What is much more likely is that Grandma comes over for a birthday party and comments on that (beautiful) portrait hanging over the fireplace (no cropped feet, no awkward sun angle, nobody mid-sneeze); Liz from high-school stops by for a visit while she is in town and gushes over the perfect family you have. In all seriousness, it’s those portraits that you take with you through life. They may help you through a bad day; they may become the center of conversation at dinner; and they will be the link your children have to their past (perhaps with laughs and grunts, but solid and never-changing). Catch the hair as it is; memorialize the dad-jeans; capture Eddie’s uninhibited, joyful awkward grin. We can say one thing with certainty, based upon our decade-long relationship with returning clients: It’s one thing you will never regret doing. When your big day arrives, we know that despite all of the planning you’ve done in the past year, some things get left out of the timeline. But the one thing that shouldn’t be neglected is the first look. Here are some wedding day tips on how to incorporate a first look into your day. One of the most memorable moments of any wedding is the moment a bride and groom see each other for the first time. For some more traditional weddings, that doesn’t happen until the bride is walking down the aisle. For the less traditional weddings, there is time ahead of the ceremony where the bride and groom take a moment just for themselves. We tend to favor these “first looks” before the wedding, because we feel that this intimate moment is something that should never be rushed. This beautiful moment should be shared between just the two of you. First looks allow you to share a private moment before facing hundreds of people and exchanging vows. We have seen it help tremendously with the nerves ahead of the big “I do”s. This moment is exclusive between the couple and allows for an exchange of emotions, hopes for the future, and sometimes even cards or gifts. The first look allows for you two to take a breath before the excitement of the ceremony, just the two of you. An intimate moment like this should never be rushed. So, if you choose to do a first look, we advise you to plan at least an extra 10 minutes for it. You can plan more if you would like to take your time, but those 10 minutes can make all the difference in seeing each other and settling nerves. It allows you to have a special moment outside of prying eyes. We also suggest that you schedule another 45 minutes for bridal party formals ahead of the ceremony. This extra time before the wedding can alleviate a lot of the stress of the transition from the ceremony to the reception. You don’t have to worry about those formal photos after you’re riding high from having just been married. That way, you have the opportunity to enjoy more of the wedding day that you otherwise might have missed—like attending your cocktail hour. Your wedding day is incredibly important, and every moment should be preserved and cherished. We highly recommend scheduling a first look so that your reactions are perfectly captured and so that you are allowed to truly enjoy yourselves together. 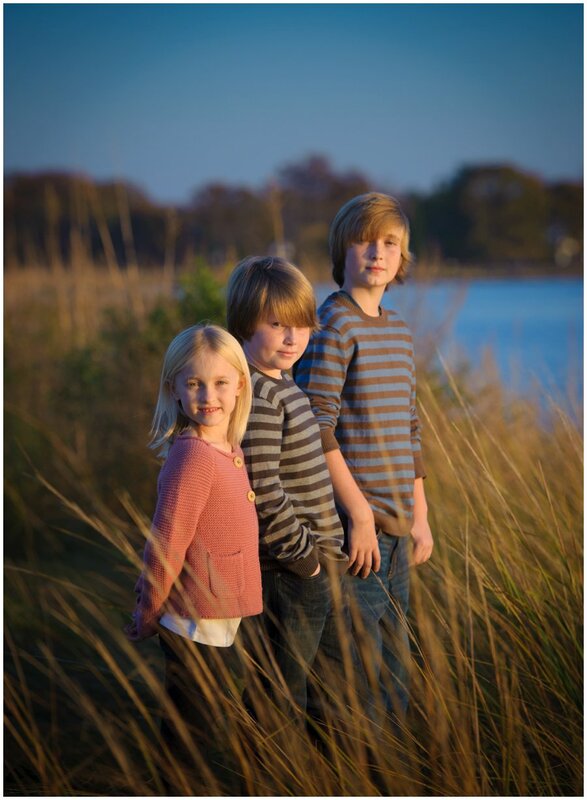 Everyone wants their family photography session to go as smoothly as possible—including your family photographers. Because we want your day to go well, we’ve come up with a list of our top four best tips for making your family session successful. The “golden hour” is the hour after sunrise or the hour just before sunset. These two times of day create warm, perfect light that will illuminate you in the photos we take throughout your portrait session. This warm light, along with the rims of light that outline the subjects of the photo can create stunning images when your portrait session takes place in an open field or wooded area. When picking out your clothes for the session, err on the side of comfort. You want to be confident in your clothing styles, but choose something flattering and timeless that will make you want to keep that family portrait up for years to come. Try to avoid trendy patterns and styles that might be outdated in a year. After all, you don’t want to run to the mantle to hide those family portraits taken when shoulder pads and yellow stripes were in vogue when friends come to visit five years down the road. This is especially true for families with small children. Often, photographers have methods of calming children and getting them to participate in the family shoot without a fight. These tried and true methods have been honed by plenty of years of experience. After all, Grandma might think little John’s crying portrait is adorable, but you might not want it framed. Trust your family photographer to get the perfect portrait of your little one for your wallet. When choosing a location for your family session, you may want to go with a place that fits your family style perfectly or has a significant story behind it. That’s a good idea, because it will make you more comfortable on the day of the shoot. With that said, it’s important to be flexible to changes. Many unforeseen circumstances can make a beautiful location less than ideal for pictures. Whether it’s the wind blowing your hair, or the sun shining in the wrong direction, it’s important to trust your photographer. We will work closely on the day of the session to find the best spot for your portraits. After all, our job is to deliver the best possible pictures to you. We might even surprise you and find a location better than the one you had in mind. Family portraits can sometimes be stressful things as you plan and herd your family—but we want you to be as relaxed and happy as possible. Tips like these can save you time and stress down the line! When you’re planning your engagement session, location is key. The two of you are going to look stunning no matter what, especially with how in love you are. But it’s important to find that perfect place to provide a background for your romance and show off your individual style. Engagement pictures are often used in wedding invitations, wedding websites and announcements, so you want your engagement session to reflect who you are as a couple. To help you, we’ve compiled a list of our top five favorite places around Washington, DC, Maryland and Virginia to shoot engagement sessions. 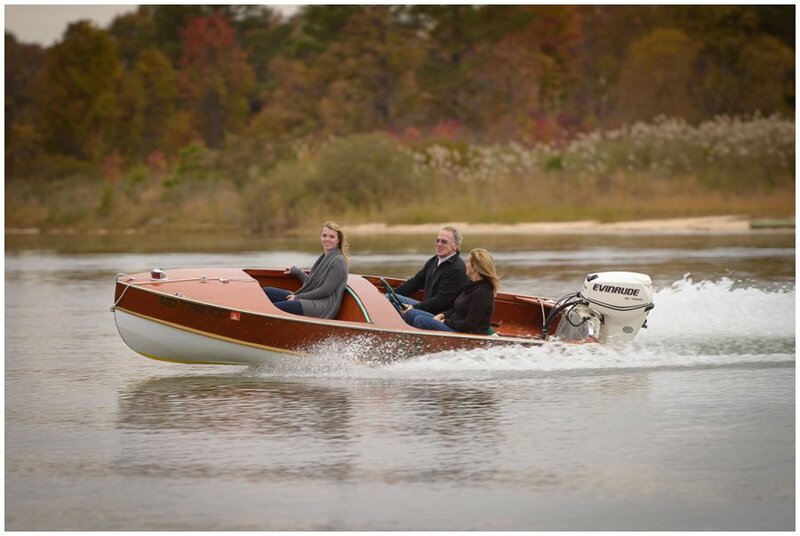 Not many people know this, but Annapolis was recently voted the top “under the radar” destination wedding location in the United States—and for good reason. Downtown Annapolis is an ideal location not only for local Navy couples, but for eclectic couples who are drawn to its vibrant hues of green, blue, and pink lining the streets. With quaint coffee shops and boutiques on every corner, the downtown area is simply perfect for couples who want a little personality. This farm is perfect for the more rustic engagements, especially if you want a beautiful fall location. You can find backdrops for any style around the farm; from the barns to the flower fields to the steps outside of the mansion. That variety is one of the many reasons we’ve included the farm on our list. The Washington Monuments are the perfect locations for a metropolitan couple looking for chic engagement photos. 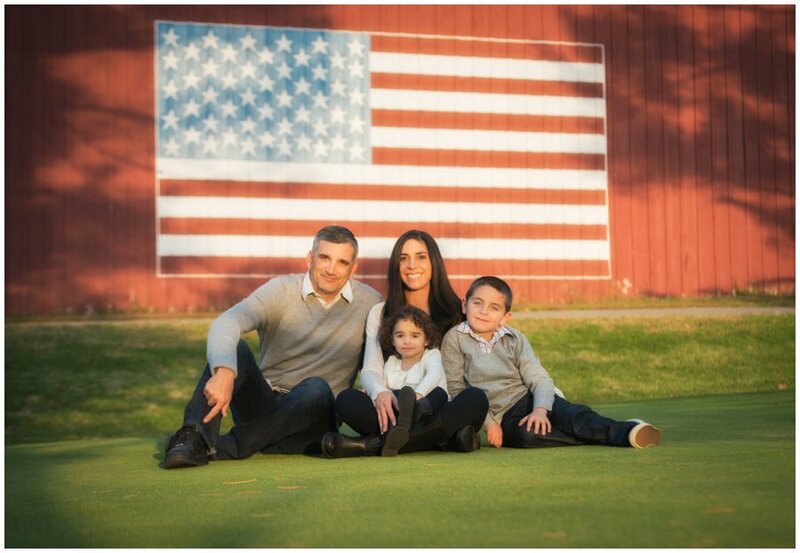 That hint of American history in the background adds not only personality but a sense of importance to any session. The reflecting pool and the Potomac also provide a stunning backdrop to photographs, especially when the cherry blossoms are in bloom. This historic district, with its beautiful brick homes, complete with vibrant shutters, provides some of our favorite backdrops for a variety of couples. Every corner of this city has something to offer, from the homes to the Inner Harbor. There are so many unique places that can show off your individual style. Old town Alexandria is another one of our favorites for its alleyways and street character. This is especially good for autumn sessions, as the fall leaves look beautiful with the cobblestone streets and historic brick buildings. These locations have made it to this list because of their ability to fit any couple, whether you’re a fast-paced metropolitan couple or a small-town country couple. From Baltimore to Alexandria and the spots in between, these are all beautiful locations to shoot your engagement session in any season. When it comes to planning a wedding, it’s all about the details. Like never before, today's couples can find so many sources of inspiration for their wedding day, from Pinterest to Instagram, so many options exist for them to gather ideas. Wedding details can range from unique floral designs, custom invitations and paper goods, to custom jewelry, handmade signage, unique menu items, and guest welcome bags to name a few. These details give today's couples so many unique ways to express their individuality. Once the big details like the venue and wedding date are set, the little details are where a couple’s personality can shine through. Cocktail hour can be enhanced with cigars, signature cocktails, and snacks with personal relevance. If there is a unique menu for cocktail hour or dinner, having it artfully displayed brings a pop of flavor to the table. Some couples have a lot of fun thinking of catchy ways to draw attention to drinks or appetizers. When it comes to wedding finery, there are even more opportunities to add personal significance. Little touches like a mother’s veil or a grandfather’s handkerchief bring an emotional weight to even the smallest moments. As brides consider their “old, new, borrowed and blue,” incorporating personal items can create a precious memory. A heart cut out of dad’s blue chambray work shirt, or an antique locket with a treasured picture intertwined into the bridal bouquet are just two ways that small details can have big impacts. As photographers, we feel it is our job to capture all of these expressions of individuality throughout the day. After all, it is such a big part of the wedding planning process and is a reflection of the couple’s tastes. Bring a complete set of your stationery, including “save the date” cards and invitations, for us to photograph. Make sure that we have the wedding rings as well as the engagement ring to photograph all three as a set. Set aside jewelry, shoes, dresses, and any other accessories they might wear so we can photograph those for wedding day preparation photos. When it comes to weddings, the difference is in the details. We want to do our best to make sure when you get your photographs back, you can see yourself in every bit. From cigar bars to personalized cuff links, here are a few of our favorite wedding details we have captured over the last year. Given the rise of social media, a good head shot is more important today than it ever has been for professionals in any career or business. Take a look at Microsoft, for example. They recently purchased LinkedIn for a remarkable $26 billion. As anyone who uses the LinkedIn website knows, it is a head shot-driven, business-oriented social media site. That means a company as big as Microsoft was willing to shell out billions of dollars for a company focused on these all-important images. If Microsoft thinks this is the future, perhaps you should give a little more consideration to the importance to head shots in your overall business plans. Users on LinkedIn are often trying to market themselves to get a job—or a better job. But, did you know the head shot you use on that website can make or break your chances of getting noticed? LinkedIn’s statistics show user profiles without a head shot, or with an unprofessional head shot, get 95% less traffic than those with a professional headshot. A good head shot has one of the highest returns on investment (ROI) of any advertising or promotion that you can do. After all, if you get 95% less traffic without a good head shot, can you afford not to spend that money to make sure your potential clients find you on the internet? Head shots are business-specific and should not look the same across the board. A floral designer wants a head shot that is friendly and candid with more personality. An interior designer might want a shot in a beautiful room. An athlete’s best option might be an action shot. But one thing that remains consistent across all professions—the head shots need to be professional. That fun photo your friend took of you last weekend while you were out is not what your potential clients want to see. They want to see an image that inspires conversation about your products or services- not just hang out. The most popular types of head shots today are done in either one of two styles: studio or environmental. A classic head shot in a studio does not have to be boring or conservative but can involve classic portraiture or edgy and artistic images. Shots done outside of a studio can often reflect specific businesses, such as outdoor images for a hiking guide. With all that said, getting a head shot session done is quick and easy! My typical studio sessions last about 20 minutes and often include the choice of two different outfits or backdrops. I’ve done head shots for many Fortune 500 companies, small business owners, politicians, celebrities. Whatever your field, I’m confident we can fine tune your image and get you noticed! And don’t forget, when your look changes, so should your head shot! Don’t be afraid to come back and do it again when you’re ready for an update. Contact me Mike B. Photography for more information or click here to schedule a head shot session now! You won’t regret giving your business the edge you need to connect and make yourself stand out! Don't you think it’s time to put your best face forward? As a wedding photographer, I am always looking for the “Holy Grail” photo. For me, this is the one shot that will tell the story of the day. Many of these moments happen throughout the course of the day, and although they can’t all be captured, you need to be prepared to react quickly when they do arise. As I mentioned in my last post, knowing your equipment like the back of your hand is critically important––you don’t want to be messing with camera settings when it comes time to react. Once you’re very comfortable with your camera it simply becomes an extension of your eye, and you never give it a second thought. After you’ve mastered your equipment, you need to learn to anticipate moments before they happen. This is a skill you will develop over time as you gain experience, but there are things you can do to develop your sense of timing. I started my photography career as a sports photographer. I was out on the fields every weekend shooting my kids’ sporting events. I shot so many photos that I was mentally fried trying to process them all. Often times, I would shoot several thousand photos during a single youth lacrosse game. I didn’t realize it at the time, but this was an invaluable part of my growth as a wedding photographer. By shooting sports, you have to learn how to anticipate what will happen next, and you have to be ready to react before the moment. Even after my wedding photography business started to take off, I continued to shoot sports because I enjoyed it, but also because the more I shot sports the better I became at being prepared to capture big moments. I eventually moved on from youth sports to shooting collegiate and professional sports including covering the NCAA Final Four, NFL, NHL NBA, MLB games, motocross, cycling and even outdoor adventure sports. When first starting out you may not have access to shooting professional level sports, but I would bet that if you don’t have kids of your own who play sports, you have friends that do. Ask them if you can join them at a game and take some photos for them. The skills you will develop from doing this will pay huge dividends down the road. It’s a great education, and other than your time, it’s free! If you don’t have the opportunity to shoot sports, you can still learn how to anticipate the big moments during a wedding simply by being observant. If you’re just starting out in wedding photography, do what I did: find quality photographers who will let you assist them, and focus intently on everything that happens. Although I had a bit of part time wedding photography experience before I decided to make it a career, I still assisted other photographers whenever possible. Most of the time I didn’t even bring a camera; I simply focused on everything that was happening around me throughout out the day. My choice to assist without a camera was well thought out. I figured if I had a camera in my hands I would be paying attention to technical things instead of observing the flow of the day. If you are already well into your wedding photography career and feel that sometimes you miss moments that you wish you had captured (we’ve all been there), consider changing up your routine. When I first started––and for my first 30 or 40 weddings––I worked every wedding solo, meaning that I had to carry and set up equipment, deal with transportation, parking, logistics, etc. It was draining. I was so concerned about where I had to be next, what equipment needed to be set up for the next part of the day, etc., that in hind-sight I feel that I wasn’t as focused as I could have been on the flow of the day. The light bulb went off for me when I hired an assistant for a multi location wedding––this was after two years of being in business. Having someone that could set up equipment, deal with parking issues, etc., was a huge weight off of my shoulders, and I found that the photos that I captured at that wedding were some of the best that I had ever taken. Having someone there to help with the logistical issues gave me the freedom to focus clearly on the day as it unfolded. The moral of the story: If you don’t have an assistant, get one! One of our images has been featured in The Huffington Post! Thinking of ways to spice up the traditional wedding? Many couples are choosing to drop the traditional customs of a wedding and adding their own flare. Check out the article about switching up your conventional ring bearer for a special pup, a groomsmen or an elder family member. Make sure to check out our fun shot from Vanita and Joe's wedding of their ring bearer who was also a groomsmen! Take a look here! Two of our images appeared in Story Mix Media! Two of our couples were featured in an article by Story Mix Media on lighting and three great ways to grab your guests attention and create the perfect ambience for a romantic night. Madeline and Graham's gorgeous reception under a sunroom lit with bistro lights gave their reception the perfect golden hue and under the stars feel to the night! Brooke and Brian's image of their outdoors, waterfront and sunset lit reception accompanied by a beautiful fall night sky allowed for a backyard style rustic country evening. Take a look here! Our images were featured in Plan The Day! 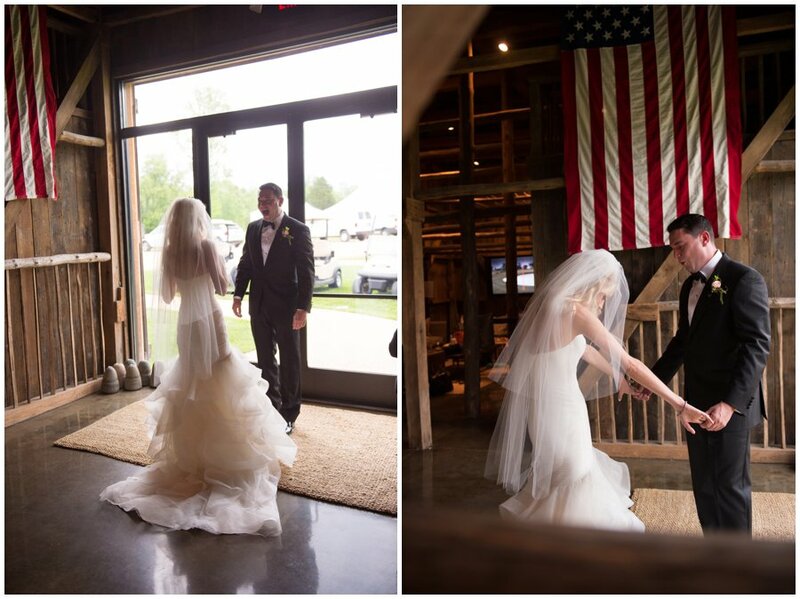 Our bride Natalie and our images from her wedding to Trey were featured in Plan The Day! Natalie and expert wedding consultant Meghan Ely tell brides why you shouldn't neglect your bridesmaids when it comes to the wedding preperations! Having your girls by your side on the biggest day of your life is important but so are the words "Thank you". Don't forget to say them! Check out the article here! We have been featured in Charm City Wed! Kylie and Grant's woodland, chic waterfront wedding was featured in Charm City Wed! From farm tables, table settings accented with a rosemary sprig to bistro lights. Kyle and Grant's wedding gave the perfect airy, polished and minimalistic feel to the reception, held at the family estate. Rain or shine the elements couldn't stop this Maryland waterfront wedding from happening. Check it out here ! Check out our image featured on Huffington Post! Thinking of doing a destination wedding or just staying close to home for the big day? Take a look at this article on Huffington Post featuring facts about pricing, decor and celebrities who have also considered having destination weddings. Oh, and don't forget to check out our image! Take a gander here! We've been featured on Knots Villa! Kristen and Jon's beautiful ivory, beige and blush toned Baltimore Museum wedding was featured on Knots Villa! Take a look here! We have been featured in Bayside Bride again! Lauren and Trevor's Historic Downtown Annapolis wedding was featured in Bayside Bride! Check it out here! Nouvelle Weddings recognized one of our brides! Nouvelle Weddings from Baltimore, Maryland mentioned our beautiful bride, Sarah from a recent wedding we shot in Monkton, Maryland! Sarah and Gus's wedding at Gus's family estate in Northern Maryland. Reem Acra recognized one of our brides! Its always great when an international fashion designer recognizes your work! Haley looked absolutely stunning in her wedding gown designed by Reem Acra. Haley and Danny's wedding on a private estate in Annapolis, Maryland! Check out our feature in Forbes for advice for your big day! It's easy to get caught up in all the wedding planning in the months leading up to the big day. From vendors to favors to dress fittings its easy to lose sight of what the day is really about. Tips, tricks, and hacks help save you time, money and stress. In Forbes' article "33 Wedding Hacks That Save Money And Add Charm To Your Big Day" the best wedding hacks have been collected for you so you can have stress free wedding planning. You can check out the advice we gave to brides's about booking your photographer here! We've been featured in Bayside Bride! 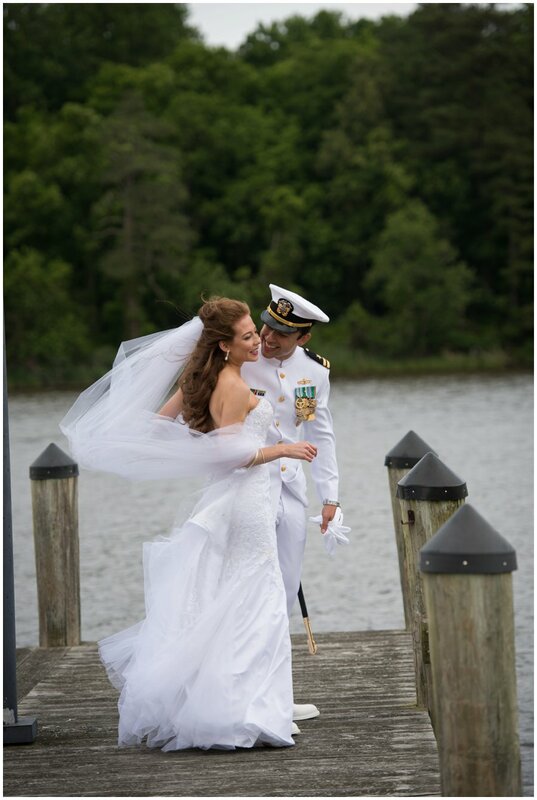 Kelley and Shawn's Maryland waterfront wedding was featured in Bayside Bride! Check it out here!